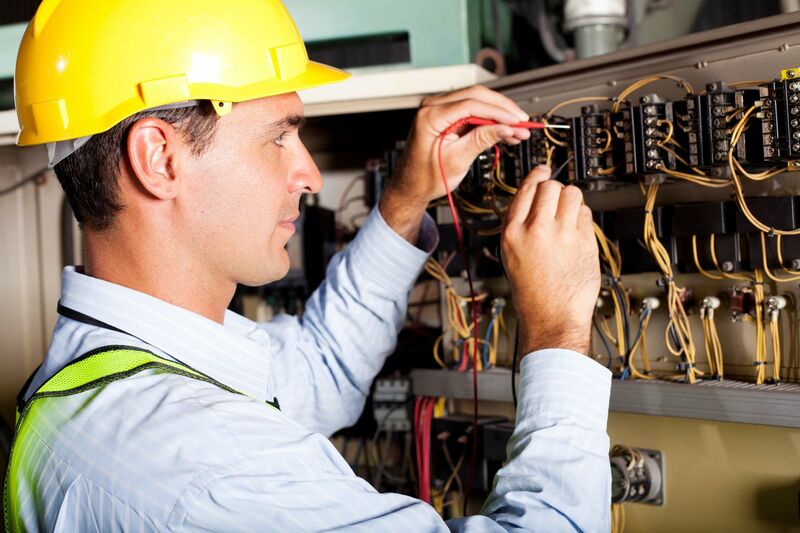 If you’re part of a facility team or contracted service provider taking care of electrical operations in a commercial building or industrial environment, you have your hands full. To make sure things keep running reliably, there’s a lot of equipment to keep an eye on and a lot of maintenance to keep on top of. Having a preventive maintenance program in place can reduce the risk of unplanned downtime by as much as 66%, according to IEEE. This is definitely a goal to strive for, but coordinating and keeping up with routine maintenance schedules can be a challenge. Fortunately, new tools have emerged that make routine maintenance tasks faster, easier, and safer. This is made possible through advances in embedded intelligence, connectivity, and cloud-based data storage and sharing. First, mobile device apps can now deliver reminders when electrical equipment is scheduled for maintenance. You’ll see what plant the equipment is located in, complete with geolocation assistance. With a click of a finger, a maintenance task list will be revealed. You can then connect with your team and determine which person is best able to address the work needed in a timely manner. For the sake of maximizing efficiency, the maintenance app will ensure that all pieces of equipment requiring maintenance will clearly listed so they can be addressed during a single visit. On arrival at the plant, the technician can refer to their mobile device to quickly locate all equipment requiring service. The mobile app will also provide all the data necessary to do each job. If the equipment requiring service includes circuit breakers, some of the newest models offer extensive onboard intelligence and connectivity. The technician may have the option to use their smart phone to connect with the device using Bluetooth, without any need to touch the breaker. The smart breaker will then transfer information for display on their phone. This might include measured readings such as currents, voltages, and power, which can highlight any deviations from nominal levels. Stepping through further checks, the technician can review the breaker’s programming, such as LSI overcurrent settings, using easy to navigate graphical screens. There may also be a ‘state of health’ view that can quickly reveal any service warnings. This might indicate that a backup battery that needs replacing, or the amount of breaker service life left. If a bar code is provided on the front of the breaker, scanning it with the smart phone will connect to the device’s online maintenance history. Not only will this confirm that the correct equipment needing servicing has been identified, it will also reveal any previously logged data or service notes to help determine the appropriate next steps. After servicing is completed, a single click will generate an inspection report, enabling all relevant data and service notes to be logged. This report will be saved in the cloud, immediately accessible to everyone that needs it. This not only makes invoicing simple and fast, it enables information sharing and collaboration across your entire team. With these new tools at hand, every aspect of electrical maintenance becomes streamlined, from planning and reminders, to coordinating and executing service, to reporting and invoicing. Equipment throughout one more facilities can be monitored remotely, while complete maintenance histories reliably stored in the cloud help improve the efficiency of your operations. The EcoStruxure™ Facility Expert cloud-hosted application and the Masterpact™ MTZ smart LV air circuit breaker from Schneider Electric are examples of the new wave in efficient maintenance solutions. Facility Expert tracks facility data, receives alerts in case of power events, and helps optimize scheduled maintenance. Masterpact MTZ offers extensive on-board intelligence, with NFC (near-field communication), Bluetooth, and Ethernet connectivity. Together, these form one of the pillars of the EcoStruxure Power solution. This has been the third post in our series on how the newest smart circuit breakers are helping improve operational efficiency and reliability. Watch for the next post in this series, where we’ll see how smart circuit breakers can help keep power distribution systems in a failsafe mode that avoids outages. Wow! This is awesome. With the modern technology it is now easier to test our electrical wirings without going through every wirings in the house. This will make a good innovation in every electricians out there. This will help them make the examination much easier and avoid any conflict deduction.